Williams shared insight into this decision making process in a presentation at this year's WAN Summit New York. His session offered a glimpse behind the curtain and into the mindset of networking professionals while providing updates on the networking story he shared with summit attendees years prior. An important element of BorgWarner’s SD-WAN migration was a move toward cloud services, including storage-as-a-service. The company also adopted virtual customer premises equipment (vCPE), which eliminated the need to ship and install hardware to overseas offices to provide firewall, router, and WAN optimization functionality. Like many companies, BorgWarner has been moving applications to the cloud. The IT department now follows a “Cloud First” approach that requires decision makers to consider a move to the cloud before making any investment in a premises-based approach. Among the cloud applications that BorgWarner uses are Office 365, Microsoft Azure, SAP HANA, ServiceNow, OneDrive for Business, and others. The company also purchases storage as a service. The company has not yet been willing to move critical manufacturing applications to the cloud, nor was it willing to move communications supporting its manufacturing operations to SD-WAN. Instead, mission-critical traffic travels over MPLS with failover to LTE or another connection. Locations with hybrid WAN now have a direct internet connection—something they didn’t have previously, when all internet traffic was backhauled to one of four data centers. That’s an important change, considering that 60 percent of the traffic on BorgWarner’s network is going to or coming from the internet. Williams expects that percentage to rise to at least 70 percent. BorgWarner has set the parameters for its hybrid WAN to prioritize applications such as electronic data processing over applications like Facebook and YouTube. Williams has been particularly pleased with the use of storage-as-a-service. Previously, the company backed up stored data to the local grid and to a data center. Storage capacity needed frequent upgrades; justifying that investment was a responsibility that fell on the IT department. Now, storage is an operational expense within the control of individual locations. When the traffic at an individual location rises, “we’re not the ones asking for money,” Williams observed. Instead, individual locations are responsible for managing their own consumption. BorgWarner now uses software not only to define its WAN connectivity, but also to replace dedicated networking hardware at individual locations. The company purchases virtual network services from a key telecom service provider, AT&T. This approach lets Williams and his team turn up new locations more quickly, with key network functions delivered through a white box appliance. Williams also likes the convenience of having a contract with a single provider for the various virtual network services. AT&T leverages partnerships with companies like Cisco and Juniper to offer a wide range of options. Another important element of BorgWarner’s network migration was the implementation of session initiation protocol (SIP) to replace traditional voice connectivity. That move eliminated the need for premises-based PBX systems and the primary rate ISDN (PRI) services that typically supported them. There are several important takeaways from Williams’ talk about BorgWarner’s network modernization. A “Cloud First” strategy requires BorgWarner’s IT department to consider a move to the cloud before replacing any premises-based software. But any enterprise that has critical manufacturing operations may not want to move applications supporting those operations to the cloud. Enterprises may also consider retaining traditional MPLS connectivity with failover to LTE or another technology to support such communications, even if other traffic moves to a hybrid WAN. Storage as a service makes storage an operational—not a CAPEX—cost and puts responsibility for managing consumption on individual locations. This eliminates or minimizes the need for IT personnel to repeatedly request money for additional storage capacity. Using virtual network services can eliminate the need for dedicated firewalls, WAN optimization equipment, and routers. Once generic hardware is in place at a distant location, IT no longer needs to be concerned with long shipment times or devices getting lost in customs. And if a service provider has the right partnerships, IT can use a single supplier for multiple types of virtual network services. Ethernet Connects Thomson Reuters and Customers Worldwide. Thomson Reuters determined that moving to an Ethernet WAN would be the best fit. Here's how they did it. 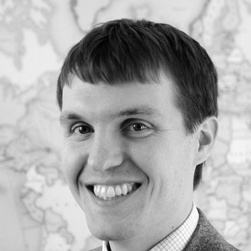 Mike Bisaha is a senior analyst at TeleGeography. Mike's research include both wholesale and enterprise telecommunications services with a focus on North American and European markets.